IVALO, Finland -- Audi's Quattro GmbH division is expected to launch RS performance derivatives of Q crossover models and is considering a lightweight, high-powered derivative of the TTS roadster, said Quattro technical director Stephan Reil. "I see opportunities at the upper end of the market, and we are especially looking at the great success of our Q models," Reil said at the launch of the RS3 Sportback here. "With the RS Q3, we have taken a very successful first step, and I can imagine we will have further models." 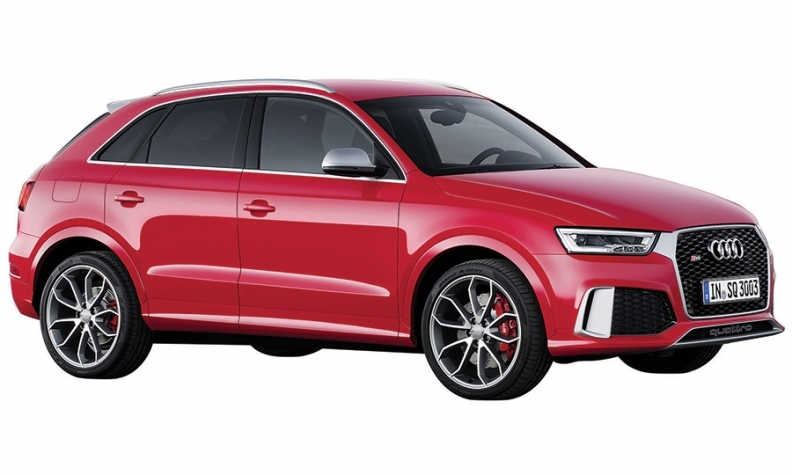 An RS Q7, or an RS derivative of the upcoming Q8 SUV, would be powered by a variation of the company's twin-turbocharged 4.0-liter V-8. With output of close to 600 hp, these models would compete with the BMW X5 M and X6 M, as well as the Mercedes-AMG derivatives of the upcoming GLE and GLS, which replace the M class and the GL. Reil also said Quattro GmbH aims to create limited-production cars. "We have set out to create special editions, which will be produced in small numbers," he said. One of the models under consideration would be a high-performance, four-cylinder derivative of the TTS, inspired by the TT Cup race car. Such a lightweight, high-performance model would be sold in addition to the upcoming TT RS, which will be powered by a five-cylinder turbo.